We’ve spent quite a bit of time at Author Media talking about crowdfunding— what it is, how awesome it is, and how to make it happen. A few months ago, we turned that talk into action, and put our own “Crowdfunding Is Awesome” theory to the test in just about the most meta way possible: We launched the Ultimate Crowdfunding Course for Authors crowdfunding campaign on IndieGoGo. Yes, that’s right– a crowdfunding campaign for a course on how to crowdfund! They said it couldn’t be done. “Kickstarter is a graveyard of crowdfunding courses that failed to fund.” Well, we did it. Thanks to you, our project not only funded, but reached 125% of its goal. 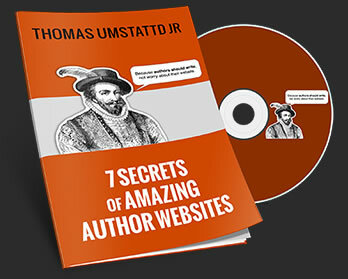 The result is that we now have a neatly-packaged power tool to offer: The Ultimate Crowdfunding Course for Authors. It’s the brainchild of two experienced crowdfunders, author Mary DeMuth and our own Thomas Umstattd Jr., and will help serve as a springboard for authors considering a crowdfunding campaign. You can learn more about the course by clicking here. Learn more about The Ultimate Crowdfunding Course for Authors here!